Dewatering screen is the most widely used dehydration products in sand aggregate production line, with advantages of dehydration, sculting, desliming and effective screening. The finished products has high quality processed by dewter screen. Users can adjust the processing parameters according to the specific requirements, and control the granularity of finished products to make them more valuable. 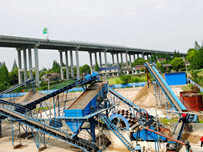 At present, LZZG dewatering screen model is maturity, which can meet the needs of different production. 1. 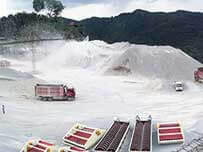 Quality advantage: different from the limit of natural sand and stone storage, the dewatering screen is mechanized, so the quality of finished product is more guaranteed. 2. 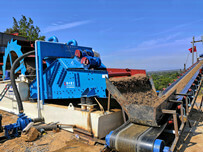 Resource advantage: dewatering screen can handle more diversified raw material. 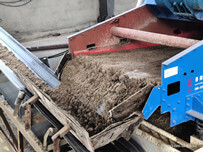 In addition to the stone, tailings, construction and other resource, slag and other industrial solid waste can also use dewatering screen to become sand aggregate final products. 3. Green advantage: the dewatering screen can effectively utilize various waste resources, which can increase the raw material source of the dewatering screen and improve the utilization rate of resources. 4. Product advantage: as a professional manufacturer of mining equipment, longzhong will win the trust of customers with more professional service and make more value for customers with better quality equipment. 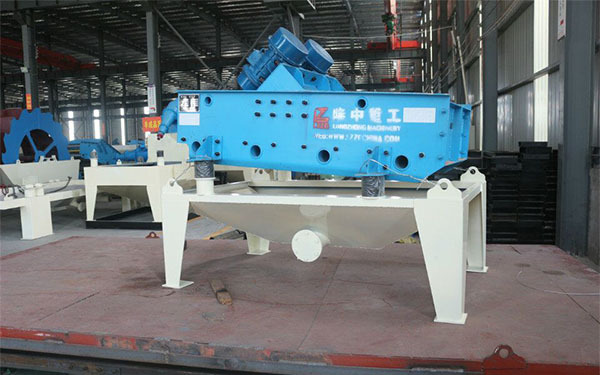 Previous：How to select round vibrating screen?